Briefly tried out the Aladin standalone Windows app, the latest version, 10. Downloaded it a couple of weeks ago but hadn't had a chance to take it for a spin. First thing I noticed was the dark grey background. All right! That's much better on the eyes... Noticed the navigation panel on the left but didn't play with it. 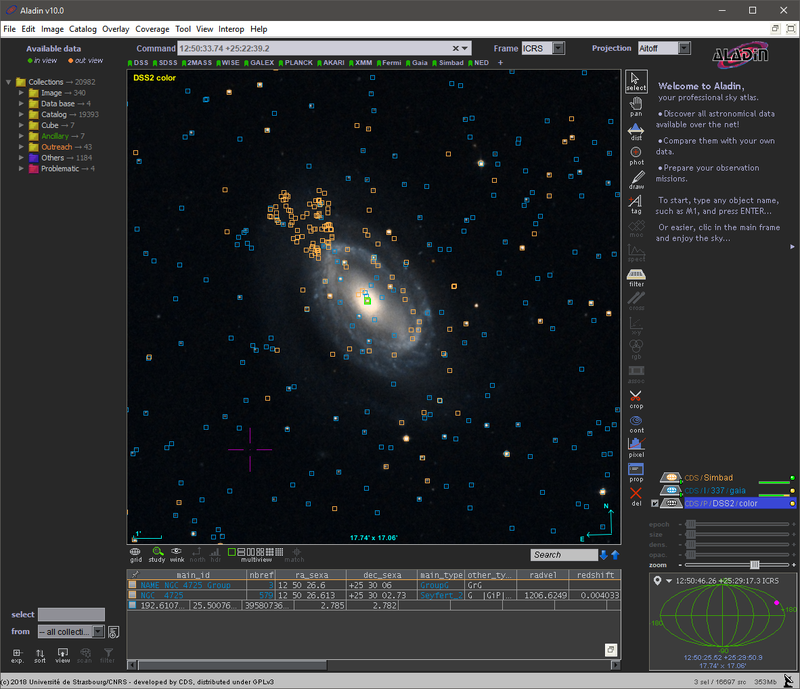 Centred on NGC 4725, turned on the SIMBAD labels, then turned on the Gaia labels. 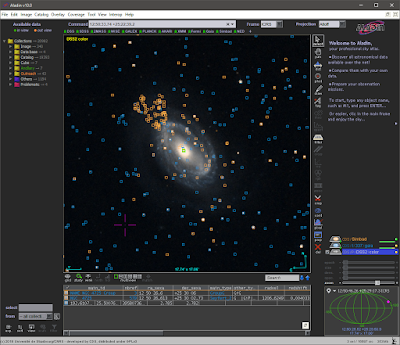 Selected the markers in the galaxy core. Looks good.